When giant US food producer Kraft bought confectioner Cadbury, the UK lost one of its most iconic companies. But it did not lose the spirit of ingenuity and invention that saw one of the most-loved chocolate manufacturers build itself into a multinational behemoth in the 19th and 20th centuries. 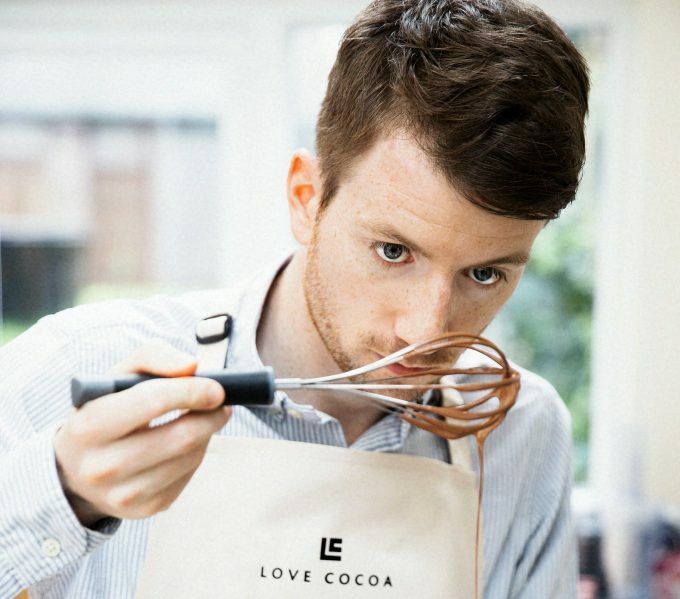 James Cadbury (pictured above), a direct descent of company founder John Cadbury, gave up a well-paying job in the City of London to return to the family tradition when he launched Love Cocoa, a crowd-funded, UK-based start-up aiming to bring high-end chocolate products to discerning consumers. In The Loadstar’s inaugural Small Shipper Podcast, Mr Cadbury explains the challenges of running the inbound and outbound supply chains of a bespoke product that requires high-quality manufacturing techniques, while having to deal with escalating international demand. Supply chain radar: is the $4bn DSV + Panalpina deal a remake of the Kraft + Cadbury $16bn takeover saga?